The C400 Food Shield is built using CRG construction techniques. The glass is bonded together with a special crystal clear UV glue. The only hardware on the partition is the 2"x 3" flanged boot used on the support posts for counter attachment. This model has a vertical front shield , and is available in four standard heights 18", 22", 24" and 26". 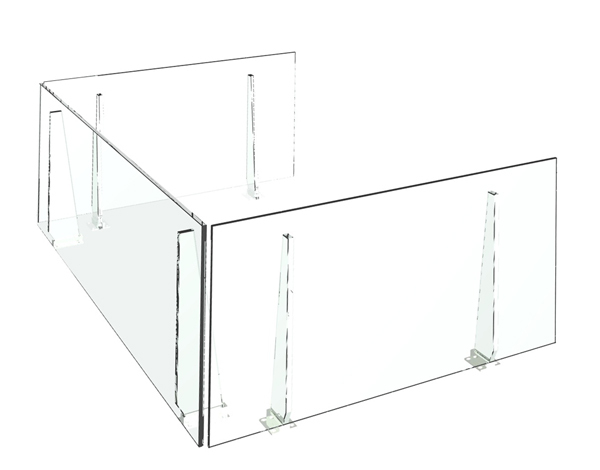 There are nine standard widths with the largest panel being 60" wide, and decreasing in 6" steps down to 12". Custom sizes are available. 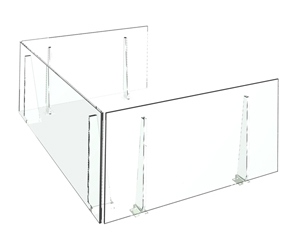 The standard partition has a 1/4" clear safety glass shield and 1/2" Clear or Crystal Clear support posts. These pratitions are designed for easy cleaning. There are no small gaps or hard to clean areas. 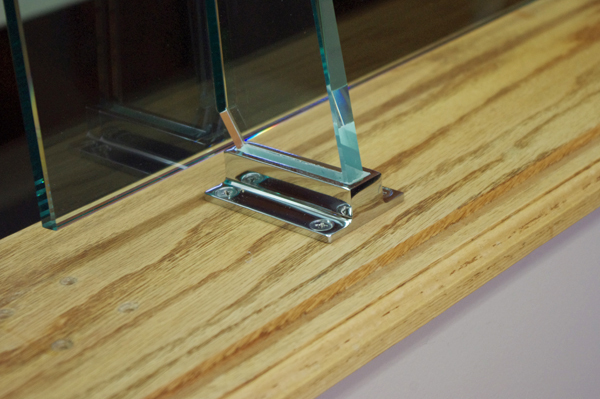 The partition panels have a 1/2" air gap under the panels for easy counter cleaning. The support post is tapered and offset in style. The post has a 2in. x 3in. flanged base. The flange base uses 4 -#10 screws to attach it to the counter surface. The support posts are attached to the backside of the shield using a crystal clear UV adhesive. The posts are located on the shield 4" or 6" in from the edge depending on the shield size.